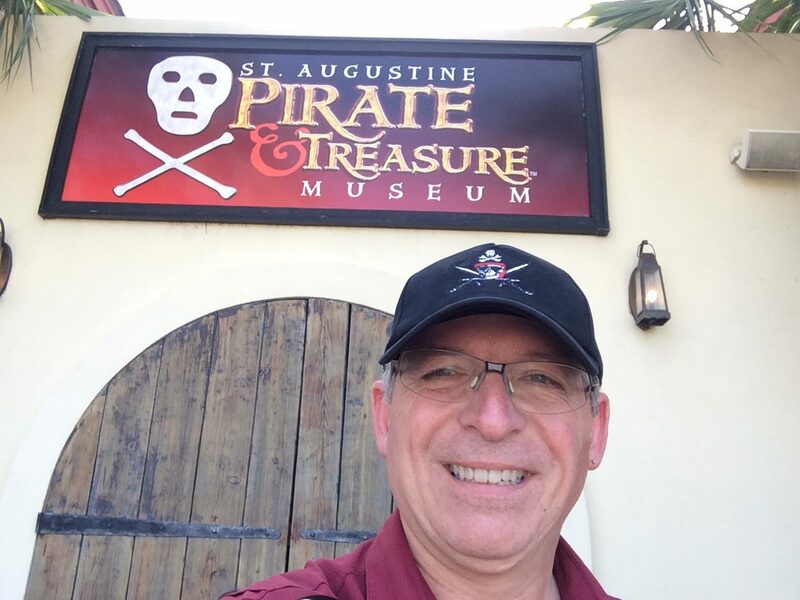 I finally achieved a major objective since moving to Florida: I visited the St. Augustine Pirate and Treasure Museum. This is the world’s largest and most comprehensive pirate museum with more than 800 artifacts under one roof. The museum is just a stone’s throw from Castillo de San Marcos, a 17th century Spanish fort overlooking the Matanzas River. 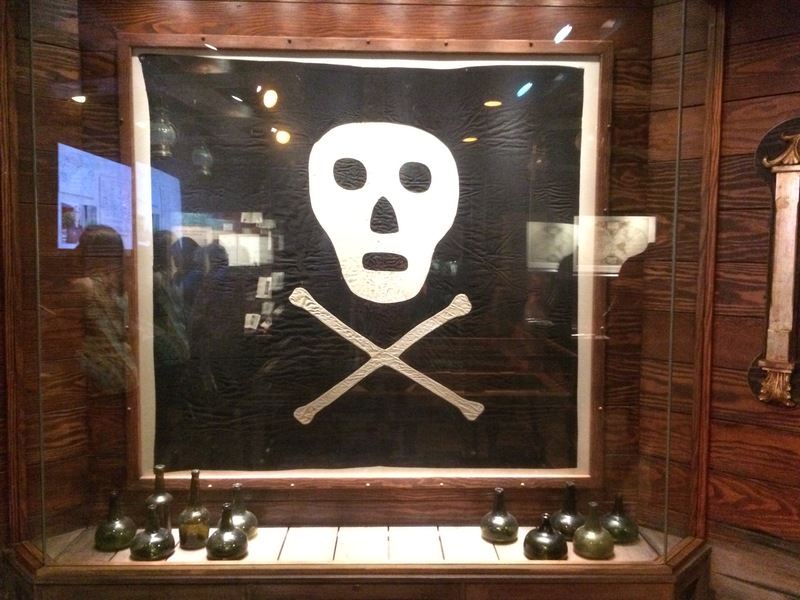 This Jolly Roger flag in the St. Augustine Pirate and Treasure Museum is one of just three surviving today. The museum includes a ton of history relating to the Golden Age of pirates, including weapons, life on board pirate ships, pirates in film (including a Pirates of the Caribbean exhibit) and one of just three surviving Jolly Roger flags! Several new interactive exhibits have opened up, such as kiosks that allow visitors to learn about pirate havens, trading routes, and more about their favorite pirates (or pirates they just want to know more about). The museum includes a room that simulates what it would have been like to be below deck when pirates boarded your ship. 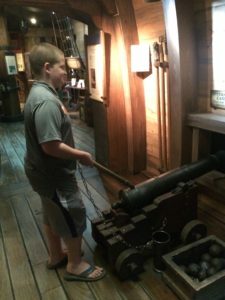 Another area recreates the experience of loading and firing cannon from the deck of ships either defending themselves or attacking other ships. 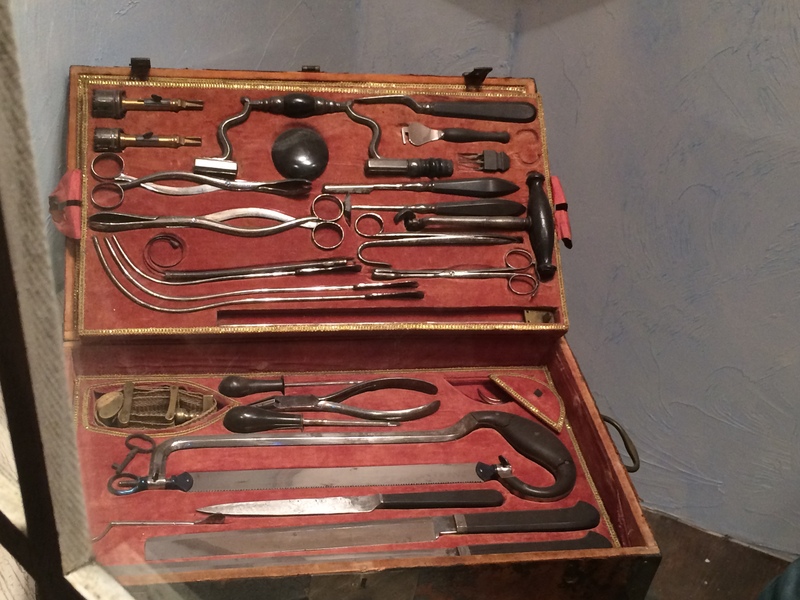 This surgeon’s box shows the tools of the trade for trying to help wounded sailors at sea. The visit helped me navigate several thorny historical facts relevant to the third book in the Pirate of Panther Bay series. Readers will spend some time below the gun deck of Isabella’s ship as Doc attempts to save sailors wounded during battle. 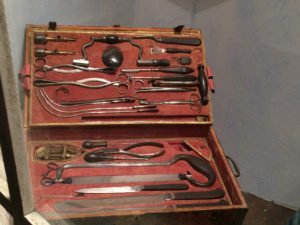 One of the exhibits includes a fully decked out surgeon’s box with tools. Of course, in the 1700s, any wound was potentially fatal because the risk of infection was so high. Several period fire arms also helped me think through the limits of using those weapons during sea battles as well. 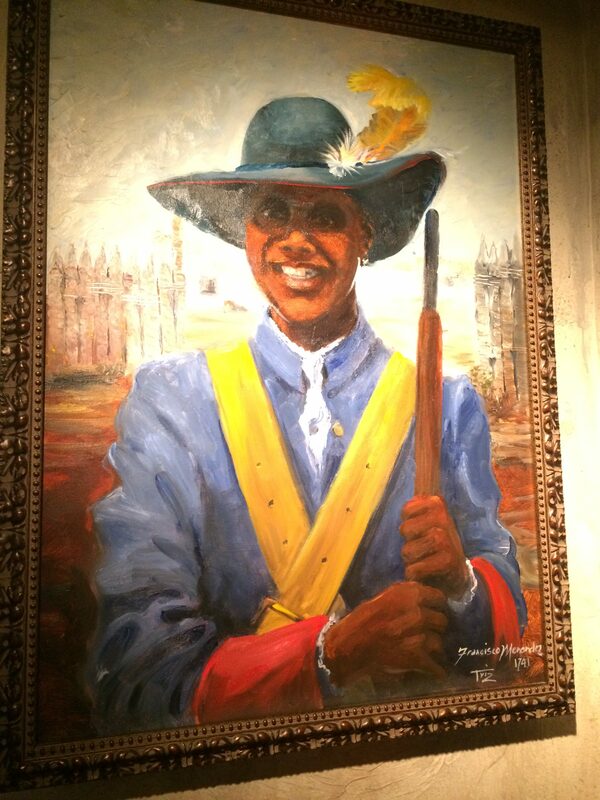 Francisco Menendez, a free black who helped organize a regiment and worked as a privateer to defend St. Augustine in the 1740s. One of the most intriguing historical facts I learned surrounded Francisco Menendez. Menendez was a free black, and he helped defend St. Augustine and North Florida from pirates and other invaders (including the British). 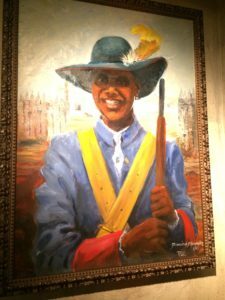 In the 1740s, he became a privateer for the Spanish government and recruited other blacks to join him defending St. Augustine. Check out the new interactive exhibits at the museum! The museum has a lot to see and do since it added experiential exhibits. The museum is also set up for group tours, school visits, and other educational programming. Visitors should expect to spend several hours touring, and don’t neglect the Treasure Shop at the end! For more information and to check out what has been added recently, listen to this podcast (Episode #60) from Under the Crossbones with Cindy Stavely, the executive director of the museum. While you are at it, check out the podcast with me (Episode #20), too! This entry was posted in Pirates and tagged pirate museum, pirates, st. augustine, st. augustine pirate and treasure museum on June 26, 2017 by SR Staley. On Wednesday, May 31, 2017, I will launch the first #WomenPirateWednesday (also #WPW) via twitter (@SamRStaley). 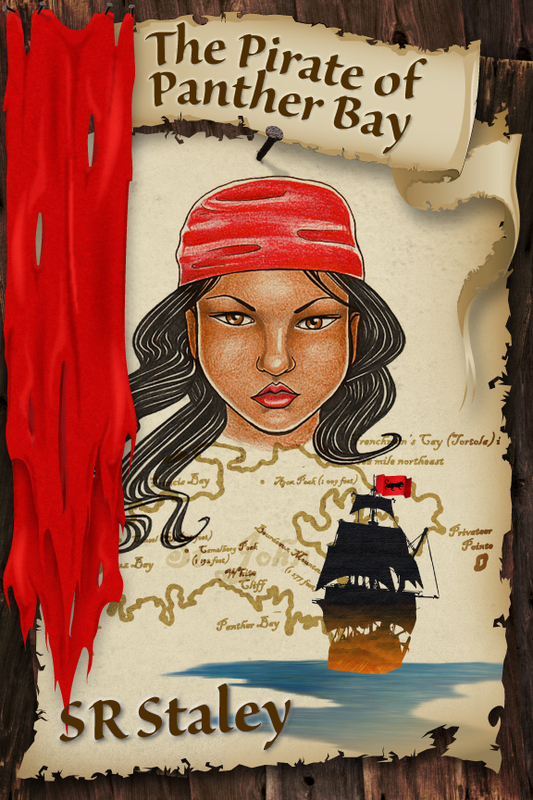 The idea is to highlight women in pirate history, literature, movies, entertainment, academia, and culture more generally. This weekly event will feature books, podcasts, movies, blog posts, and anything directly or tangentially related to women and the connection to pirates. I will be borrowing content liberally from podcasts hosted by Phil Johnson at UndertheCrossbones.com. My twitter posts will generally begin at 10 am ET and end at 10 pm ET. UTC podcast with pirate historian Cindy Vallar, editor of Pirates & Privateers. Of course, The Pirate of Panther Bay and Tortuga Bay can be found at amazon, SYPPublishing. Each week I’ll have a preview of the line up on this blog. Leave comments if you have content that you would like featured! This entry was posted in Pirates, Women Pirate Wednesday (WPW) and tagged Cindy Vallar, David Cordingly, Laura Duncombe, Under The Crossbones, Women Pirate Wednesday, WPW on May 30, 2017 by SR Staley.